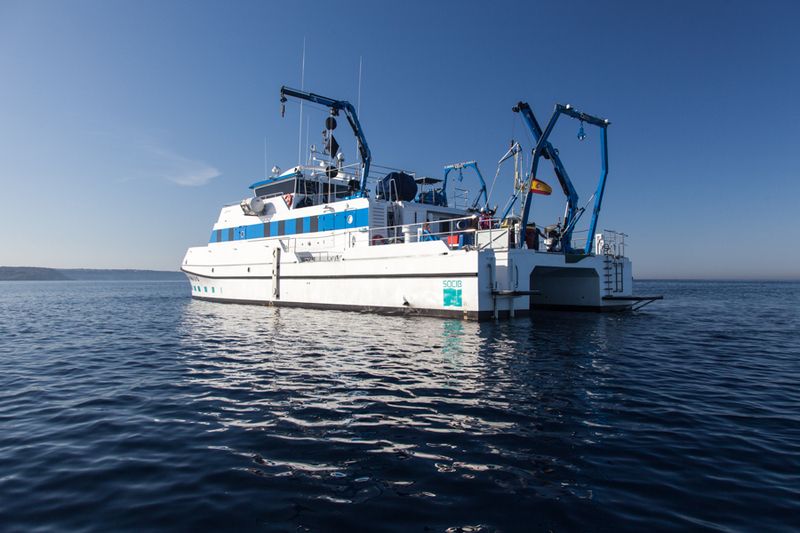 R/V SOCIB is a catamaran developed as part of the observational strategy of the Balearic Islands Coastal Observing and Forecasting System (SOCIB). It was built at the RODMAN POLYSHIPS shipyard and was delivered in September 2012. The catamaran design characteristically combines high performance, comfort, and good seakeeping. R/V SOCIB is able to support scientific surveys of up to 7 consecutive days duration. 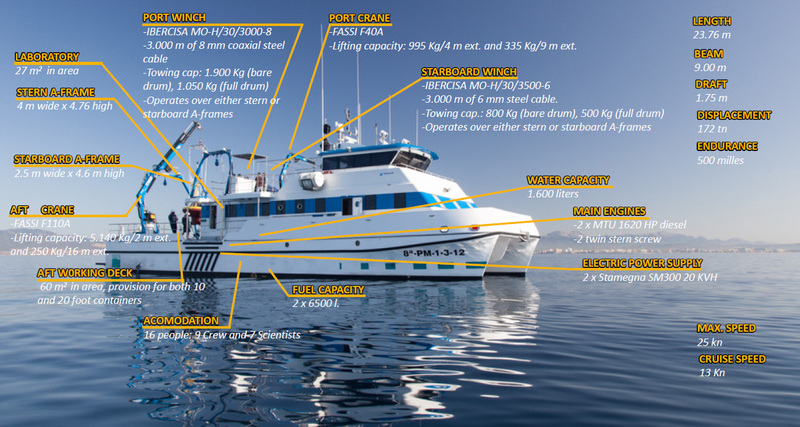 The R/V SOCIB has a 27 m2 multipurpose (wet/dry) laboratory and a wide working deck of 60 m2. The wheelhouse has 360 ° visibility. R/V SOCIB carries out oceanographic research in marine and coastal areas of the Balearic Islands and the Mediterranean sea. For expeditions requiring 24 hour working, R/V SOCIB has sleeping quarters for up to 9 crew and 7 scientists/technicians in two quad cabins, three double cabins and two single cabins; for 12-16 hour working days, the sleeping quarters can accommodate up to 7 crew and 9 scientists/technicians. R/V SOCIB has a fully equipped galley, a laundry, and a spacious dining room/saloon.